It’s the MOST wonderful time of the year! It’s #hollyween time! 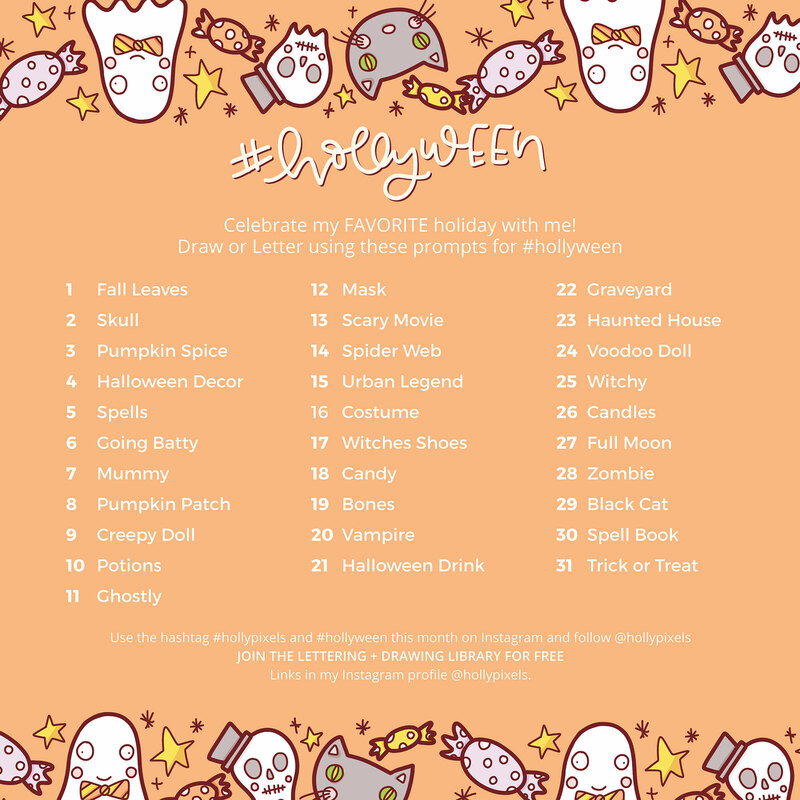 I love Halloween so much and this month’s prompts are going to keep me busy over on Instagram! 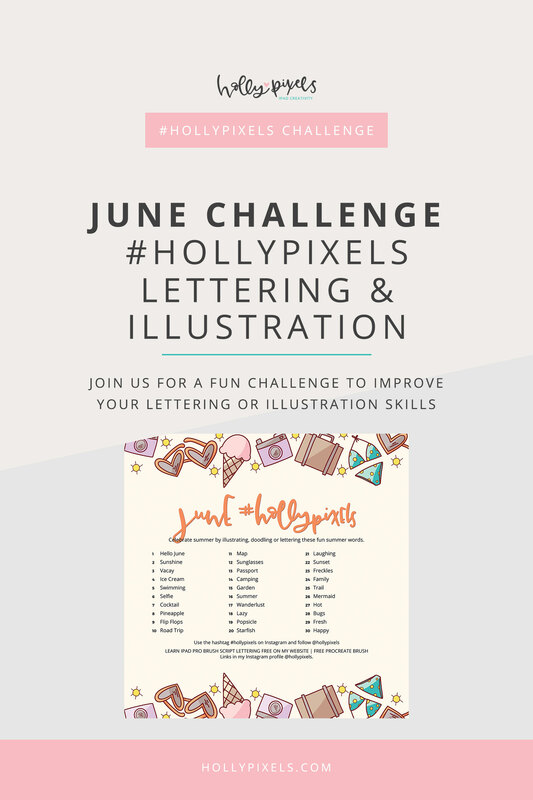 Every month I host a new lettering challenge and this month we’re bringing in Illustration to the challenge as well! 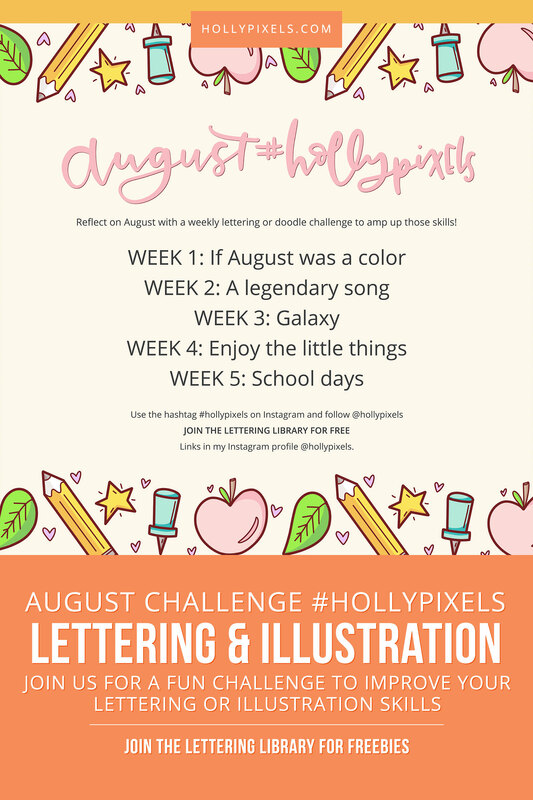 Each month I post new prompts to encourage you to get more consistent with your lettering and drawing. 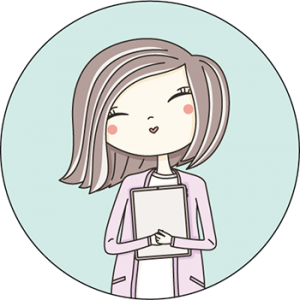 Challenge prompts can help you improve. This is a daily challenge – the numbers coordinate with the day of the month. 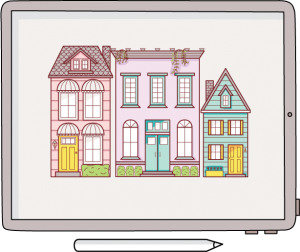 Some of the names are duplicated as technical name and common name. 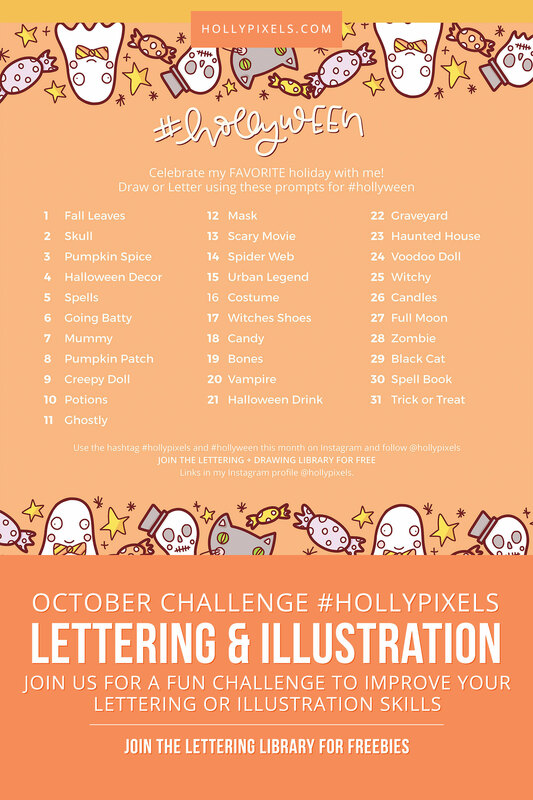 Then, post your image to Instagram and use the hashtag #hollypixels (this used to be the #letterpixels challenge) and we’ll check it out! 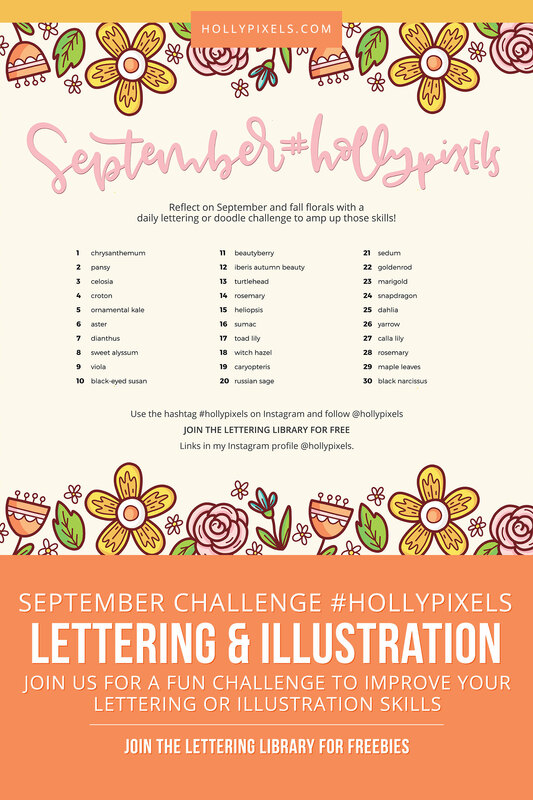 Feel free to screenshot this graphic and post it on Instagram and tag me at @hollypixels to spread the word!